Learn how to use a shared workspace for email, conversations, files, and events where members of a group can communicate and collaborate more effectively using Office 365 Groups. 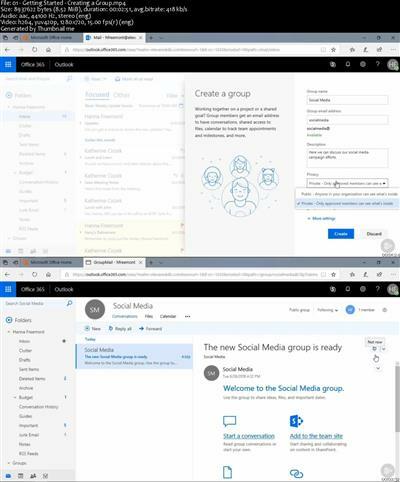 Office 365 Groups allow for a shared workspace for email, conversations, files, and events where members of a group can communicate and collaborate more effectively. 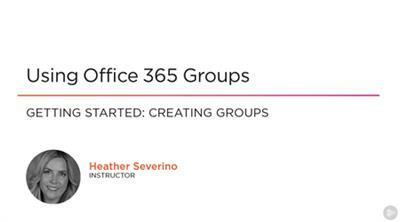 Using Office 365 Groups you'll learn how to create and navigate the features of a Group. First, you'll explore the addition of members manually or through invitation. Then, you'll see how to integrate emailing and working with files and the calendar. Finally, you'll learn how other tools (like Planner, Teams and such) come into play with a Group and tour the Mobile App. When you're finished with this course you'll have a solid knowledge of Office 365 Groups which will help you move toward becoming an Office 365 end-user expert.